Our luminous rosebud rosary is a great way to encourage Catholics to pray the rosary daily - a traditional reminder of the Blessed Virgin Mary. 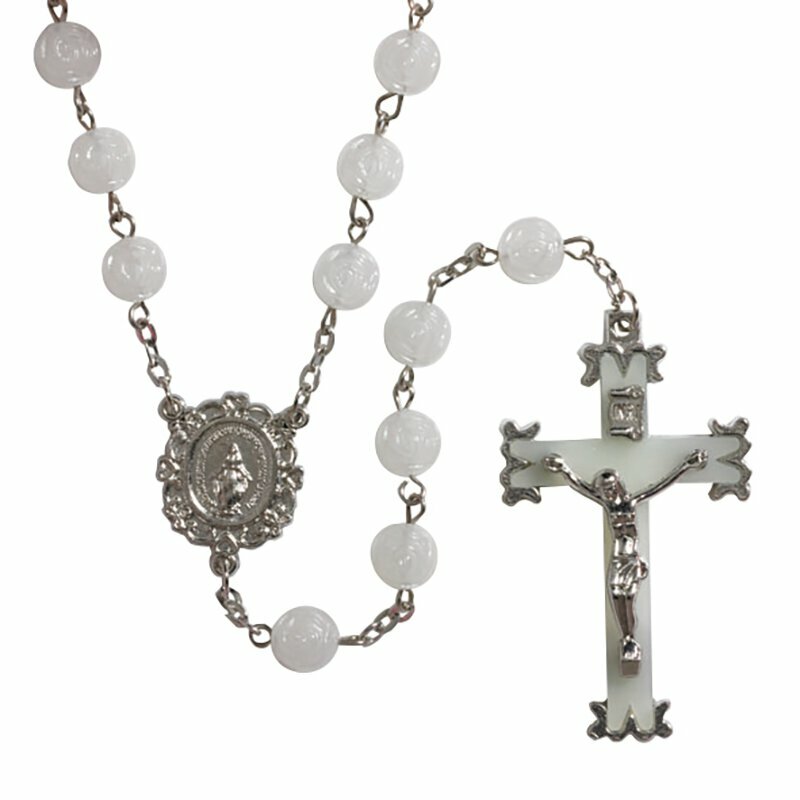 Each rosary is durably crafted of luminous rosebud shaped beads, an ornate Madonna centerpiece and a luminous crucifix. Makes a perfect giveaway during religious gatherings, celebrations or feast days. Also makes a great gift for anyone with a special Marian devotion.